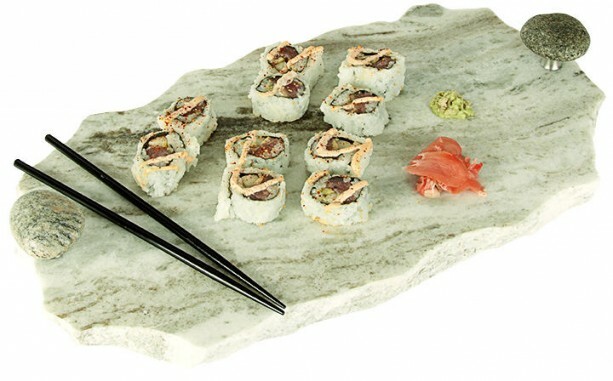 Our Chillable Serving Tray is a solid piece of polished natural granite with a chiseled edge. 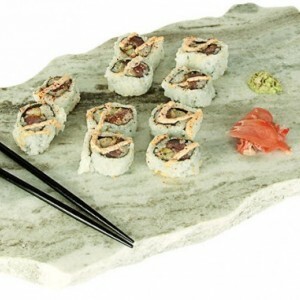 The granite is collected from New England fabricators who provide it in a stunning range of colors and patterns, with no two identical. 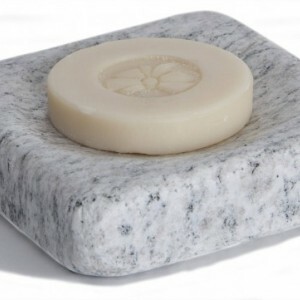 We hand cut and finish each slab to a size that is convenient to use. 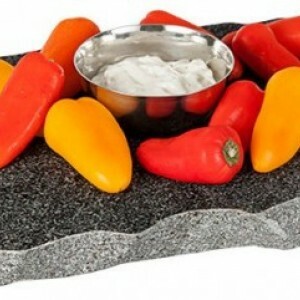 Two stone knobs with aluminum standoffs act as handles so it’s comfortable to carry. 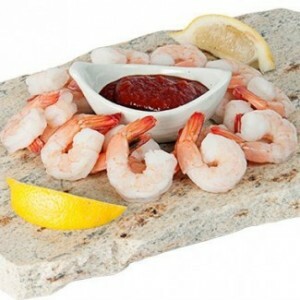 They are ideal for use as a cold plate for your cheeses, appetizers, fruits, sushi, cookie and pie coolers, a cutting board, or even as a handsome and safe candle stand. Thick cork pads on the bottom protect your furniture. Pre-chill in fridge or freezer to keep foods cold. Wipe with a damp cloth to clean. 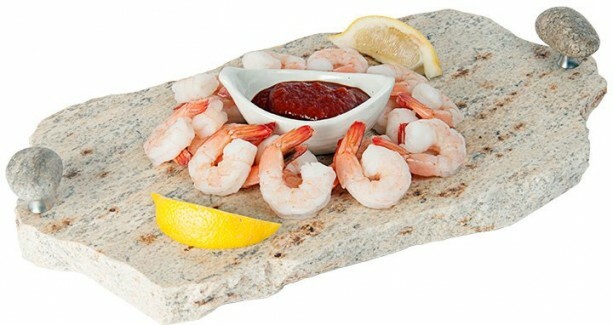 14”x10”x1.25”, 14 lbs, see also our Granite Lazy Susan.